Slipknot will be taking their masks into the studio again in early 2013. The Des Moines-based heavy metal band’s DJ, Sid Wilson, told the NME that the group would start recording at the start of next year as they work on their follow-up to 2008’s All Hope Is Gone. 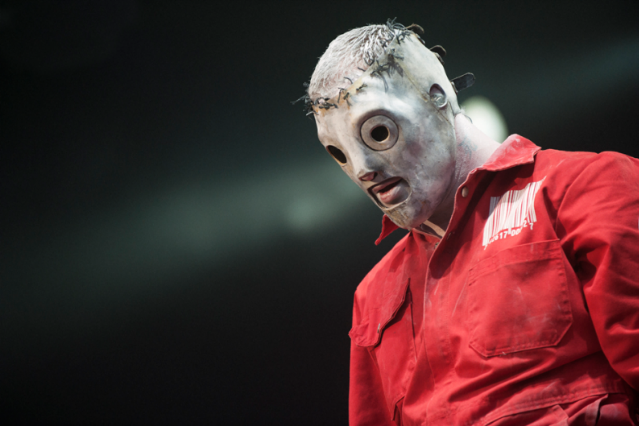 Slipknot has been grieving the loss of bassist Paul Gray, who was found dead of an accidental overdose nearly two years ago. Stone Sour is working on a new album of its own. Taylor tweeted in March that Stone Sour had begun “construction” on the follow-up to 2010’s Audio Secrecy. “It’s gonna be a motherfucking monster,” he said.